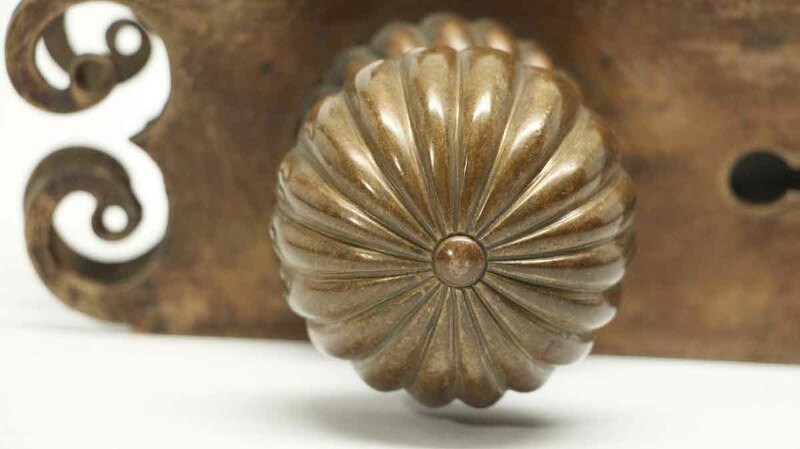 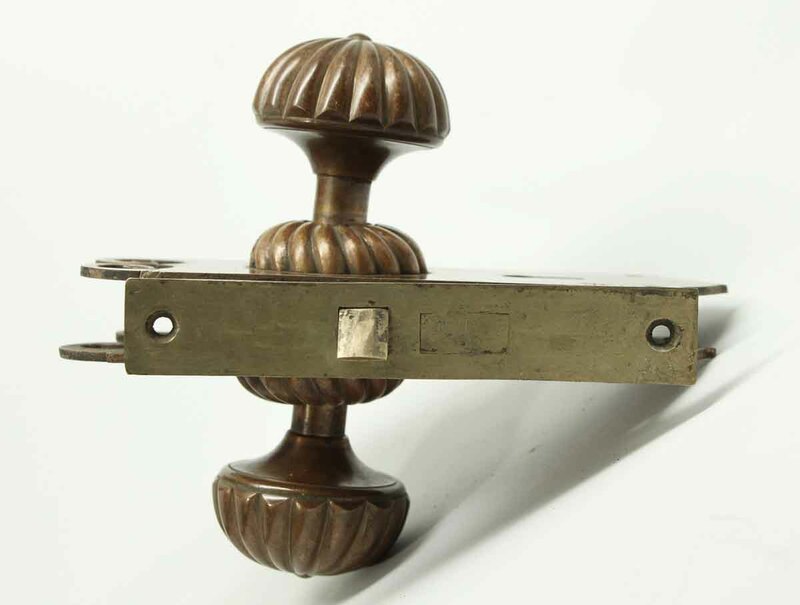 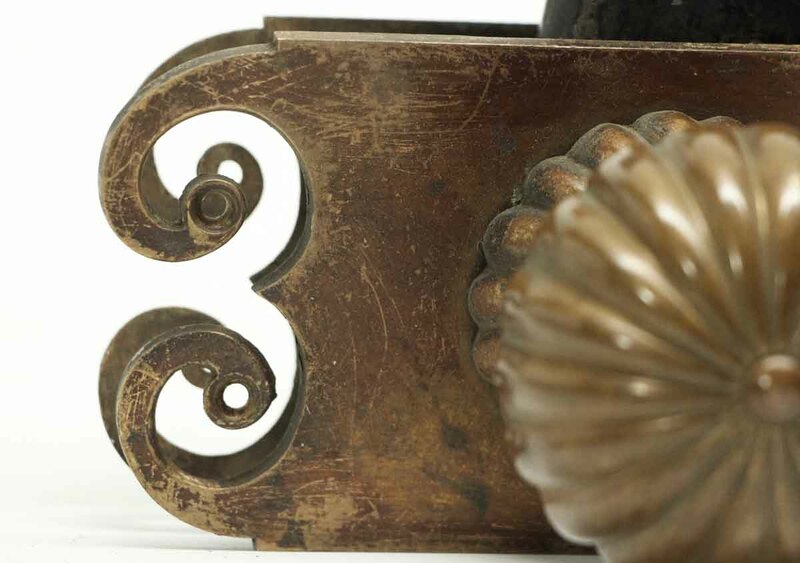 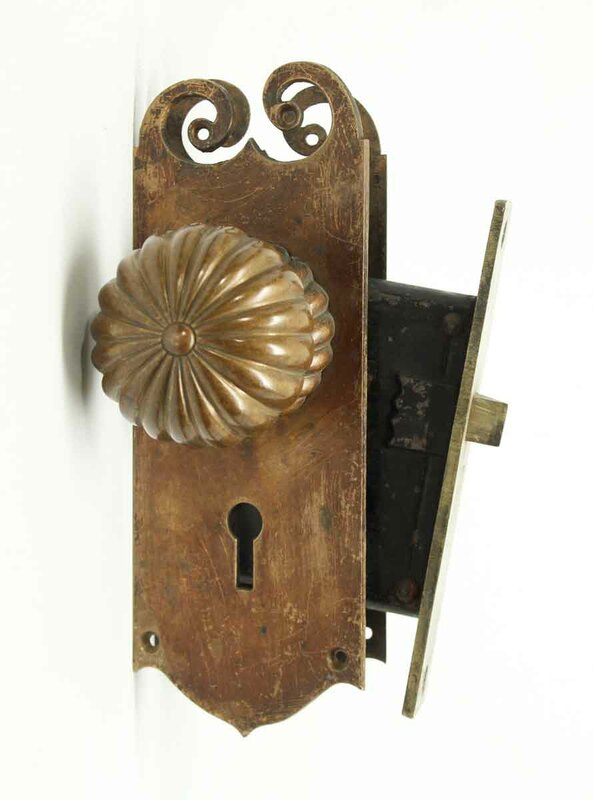 Beautiful bronze doorknob set with fluted turtle neck which is typical of the Yale hardware includes a pair of knobs, two unique wide back plates and a mortise lock. 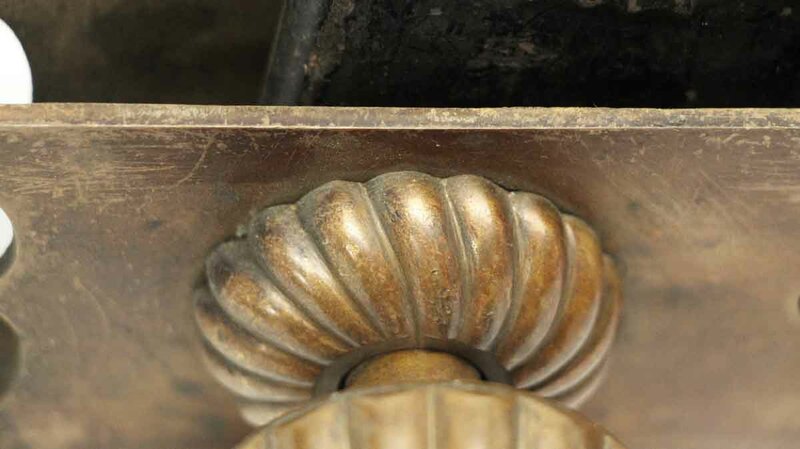 Fits over large holes that are in newer doors. 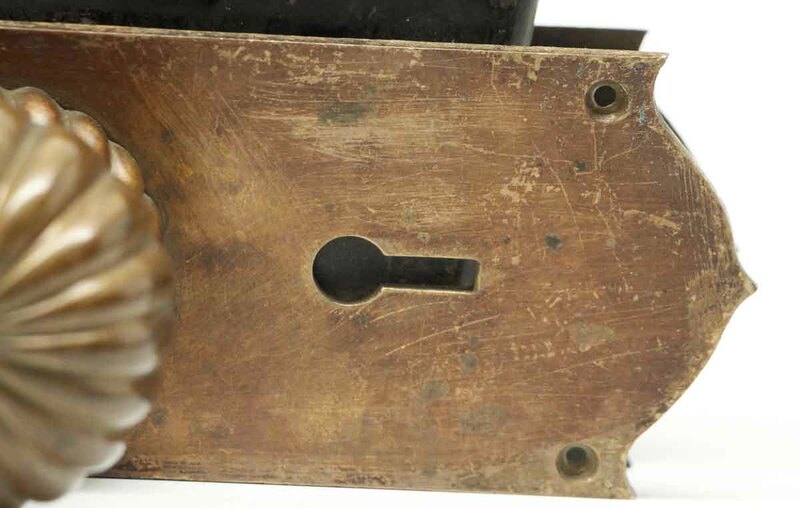 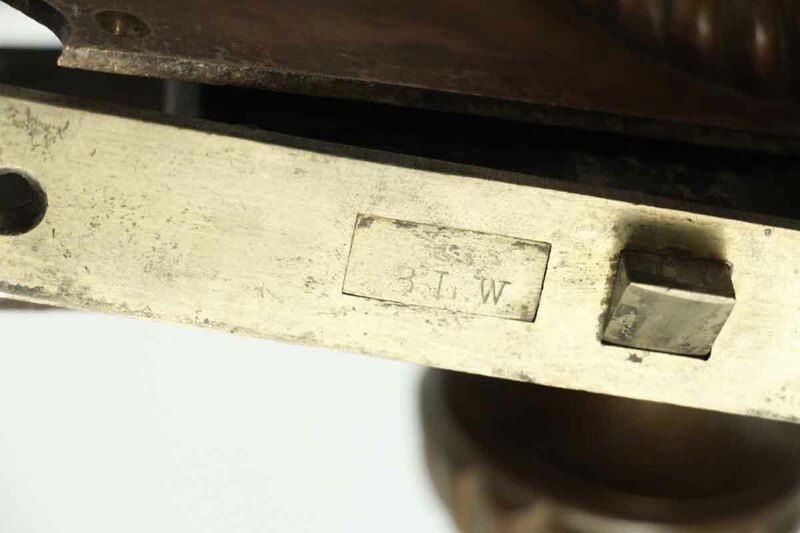 Lock is inscribed B L W. Priced as a set.